Spirit in the Sky. Photographer Don Smith captured this wolk formation. Wallpaper and background images in the Avatar: The Last Airbender club tagged: zuko dragon dance photo. 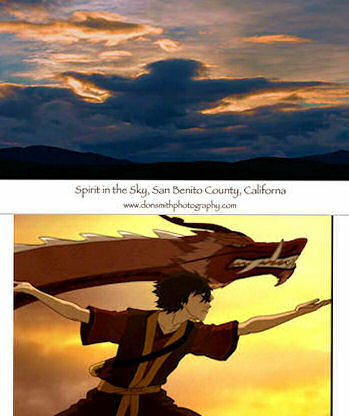 This Avatar: The Last Airbender photo might contain zonsondergang zonsopgang, zonsondergang, and zonsopkomst.